SoftBank Group Corp CEO Masayoshi Son on Monday condemned the killing of a journalist by Saudi security personnel, and said his firm must carry out its responsibility to the kingdom's citizens whose money is invested in its Vision Fund. Saudi Arabia is the largest investor in the fund which was launched last year with over US$90 billion in capital, giving Son firepower to make big bets in late-stage startups such as shared office space provider WeWork Cos and hotel chain OYO hotels. Global outcry over the murder case, however, has led many observers to regard that dependence as a risk to SoftBank's plans to raise further funds. "These funds are important to the Saudi people in ensuring their economy diversifies and is no longer dependent on oil," Son said on Monday. "It is true that a horrible incident happened. On the other hand, we have a responsibility toward the Saudi people, and we must carry out our responsibility rather than turn our backs on them." Son was presenting SoftBank's earnings results, appearing before reporters for the first time since Jamal Khashoggi, a journalist critical of the Saudi state, was murdered early last month in the Saudi consulate in Istanbul. SoftBank booked July-September operating profit of 705.7 billion yen (US$6.23 billion), helped by higher valuations on high-tech bets by the Saudi-backed Vision Fund. That compared with 395.6 billion yen a year earlier under different accounting standards. 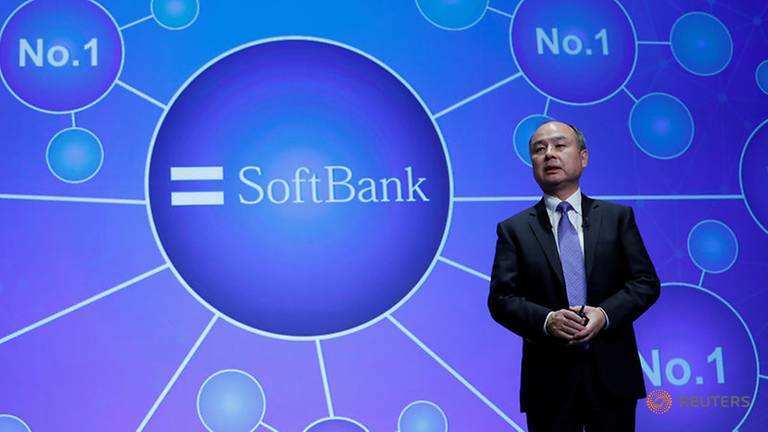 Son said there was no indication SoftBank's Saudi links are deterring startups from accepting capital, with internet-connected window company View on Friday announcing a US$1.1 billion investment from the Vision Fund. Nevertheless, worries about the Saudi fallout and a broader downturn in global technology stocks have weighed on SoftBank shares. They closed on Monday at 8,747 yen, down 24 percent from September's high of 11,500 yen. Another recent concern has been the planned initial public offering (IPO) of SoftBank's mobile phone network provider amid government pressure on Japan's telecommunications industry to lower prices. Market participants said the offering could surpass the record US$25 billion worth of shares sold by China's Alibaba Group Holding Ltd in New York in 2014. The IPO will mark the transformation of SoftBank from a domestic telco, which successfully challenged the country's incumbent duopoly, into one of the world's biggest technology investors. While the offering is expected to draw Japan's cash-rich retail investors attracted to SoftBank's image as a successful tech company and the prospect of steady returns, it comes as the government pushes for lower fees. Against that backdrop, NTT Docomo Inc said last week it will cut service charges by as much as 40 percent, affecting its earnings from the next fiscal year. Separately, competition is set to increase as e-commerce giant Rakuten Inc enters the mobile market in a year's time with the help of a tie-up with telco KDDI Corp . Son shrugged off such concerns on Monday, saying he wanted to keep growing sales and profit at SoftBank's mobile unit and pay a high dividend. Even so, in the face of that government pressure, SoftBank will increase automation and reduce headcount in mobile operations by 40 percent over the next two to three years focusing instead on new growth areas, Son said. The unit serves as the gateway for many of SoftBank's portfolio companies into Japan, operating joint ventures such as shared offices with WeWork, taxi hailing with China's Didi Chuxing, and a QR code payments business using technology from India's PayTM.